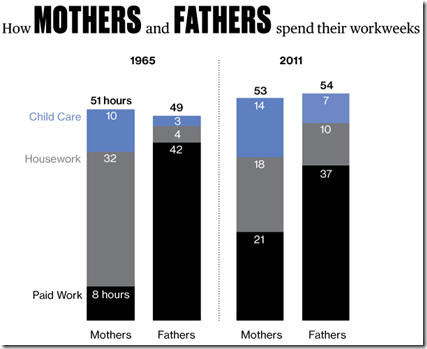 I don’t know who is calculating the numbers, but I just can’t believe that mothers spend *more* time with their kids. Unless they count the drive to daycare as time with their kids. Most mothers I know don’t spend anywhere near 2 solid hours a day with their children — a very not good thing.